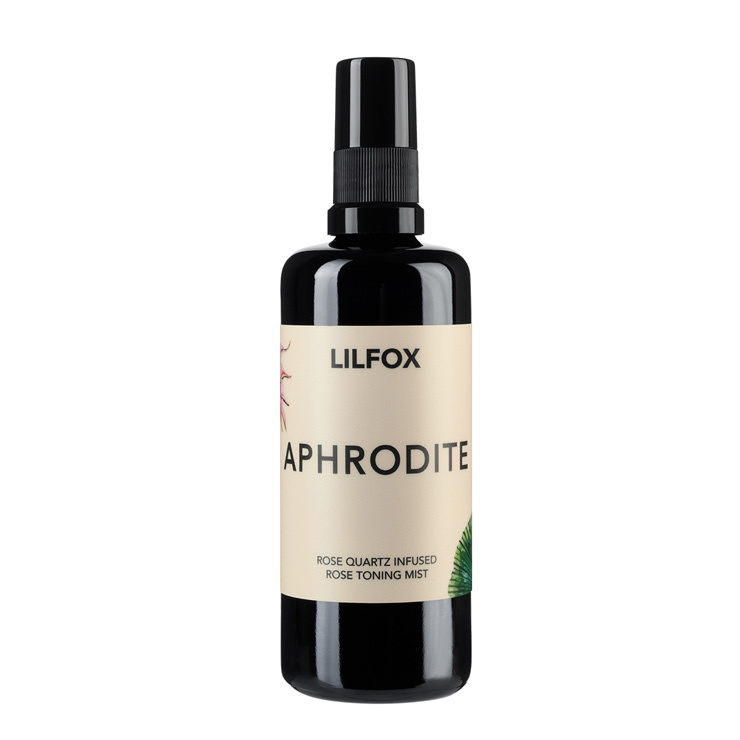 The Aphrodite Rose Quartz Toning Mist by LILFOX lends a cooling and balancing sensation to skin. This toner is suited to all skin types, and is especially beneficial for sensitive or mature skin. Made with mildly astringent ingredients, this hydrosol leaves skin feeling hydrated with a plumped, dewy appearance. The pure rose floral infusion showcases an aroma of rosy floral notes with a lemony citrus top note. Plus, this signature LilFox crystal infusion includes the rose quartz crystal. Prompting a full sensorial beauty experience that gives the sensation of opening your heart chakra and deepening your connection with unconditional love. Generously mist over face after cleansing, and before and after applying face nectar, to lock in a feeling of moisture. Mist over face after applying make up to help set and leave skin with a bright, dewy look. Gives a revitalized feel to the entire body and hair after a long day of work or travel.